The San Diego Marine Aquarium Society has a very extensive coral identifcation library that would serve as a great (and free) resource to any hobbyist who wanted to find out as much information about the corals in their aquariums. 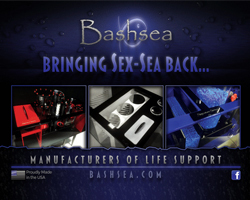 The information for the identification comes almost entirely from the Australian Institute of Marine Science, but has been organized in such a way that it is very user friendly. The AIMS site, on the other hand, is a tad more difficult to navigate, though still a fantastic resource as well. 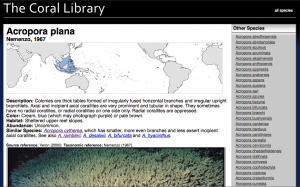 The coral identification library has hundreds of corals listed from over 100 genera. The list even includes 169 species of Acropora. 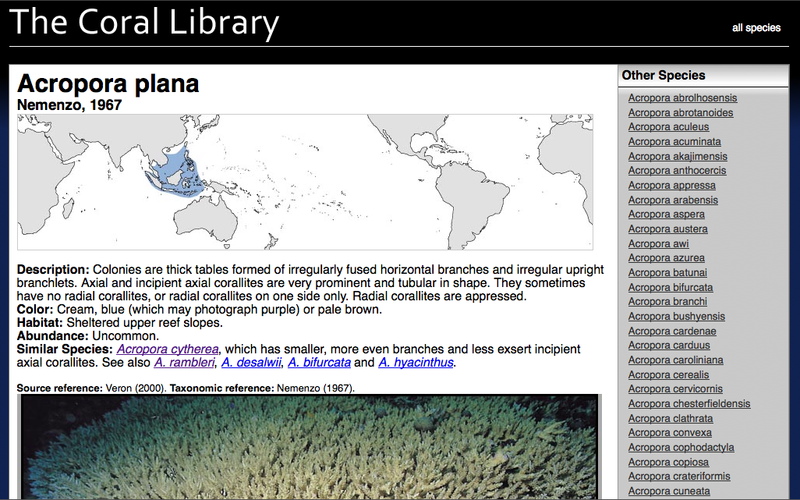 Upon clicking a species of interest, a description of the coral, along with color, habitat, abundance, and any similar species is listed. A map highlighting the area where the species is located is also provided. The most useful part of the species profile comes in the form of detailed photographs. 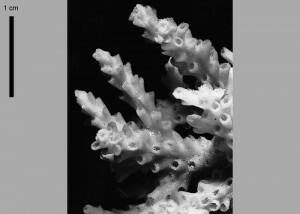 Pictures of entire colonies are provided, as are close up pictures of the coral’s corallites. As if that weren’t enough, a picture of the coral’s skeleton free of any living tissue, is also available. Coral identification can be quite tricky, especially for beginner hobbyists. On top of that, improper names have been given to certain corals for years, and these mis-identifications are still ongoing. This coral library is a great resource to go by, but keep in mind that corals do change their growth patterns when brought into captivity. This is a perspective instilled in me by Eric Borneman years ago, and still something I keep in the back of my mind when trying to identify corals down to the species level.